Living in Nottingham and looking to shake up your tired old career with something a little different? 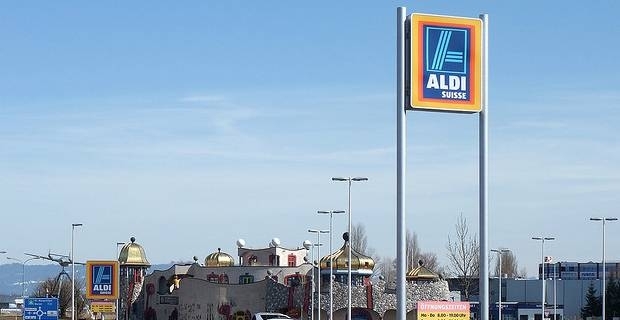 In this article, we are going to show you how to get on board one of the UK's fastest growing retail operations, the German giant Aldi, as we check out Aldi jobs in Nottingham. Are you beginning to think about giving your flat-lining career prospects a kick in the rear? If you are living in the Nottingham area and you have been looking at the retail sector, then perhaps we might just have the perfect solution for you..
German supermarket chain Aldi have made aggressive expansion into the UK one of their big aims in the last few years, and this has led to a huge store in Nottingham, meaning plenty of opportunities for work. Aldi enjoy a glowing reputation among their staff thanks to their hugely competitive rates of pay, benefits packages and career progression opportunities. Aldi jobs in Nottingham come in two flavours, you can work in one of their stores, or else there is also the option to work in one of their distribution centres. Simply point your browser towards careers.aldirecruitment.co.uk/store-opportunities/index.asp, select Nottingham from the drop-down menu and view the current available positions. As we previously mentioned, the rates of pay at Aldi are towards the more generous in the retail sector. Entry-level shop assistants can expect to be paid in the region of eight to nine pounds per hour, while store managers can earn up to 45,000 pounds per year, figures which will probably pique anyone's interest! If you need a nudge in the direction of Aldi, then we can't recommend it enough as a place to work. For a position requiring minimal training, it would be hard to beat the mix of pay, benefits and progression opportunities on offer with Aldi jobs in Nottingham. Submit a CV today and see where an Aldi job can take you! Having trouble finding jobs in Nottingham UK?